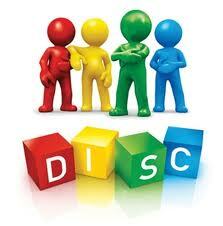 DiSC is a great tool to help you determine your strengths so you can highlight them in a job interview. · Becoming effective leaders and responding to change and conflict management. Dominance in DiSC refers to accomplishing results, being confident and the bottom line. The behaviors within dominance include accepting challenges, being blunt, seeing the bigger picture and confidence. Influence in DiSC is influencing or persuading others, openness and the ability to construct relationships. The behaviors needed to influence are being optimistic, enthusiastic and collaboration. Steadiness in DiSC is cooperation, sincerity, dependability and participation. The behaviors that require one to be steady are to be supportive, not being rushed, calmness and humility. To be Conscientious means to focus on quality and accuracy, expertise and competency. The behaviors entailed to be conscientious are being independent, objective reasoning, needing to be right and attention to details. Although DiSC is a great tool to determine different personality and behavioral traits of each individual and applying them in the workplace, it also demonstrates flaws as being a sufficient screening test because certain behaviours alone does not determine whether you are suitable or not for a role, and it doesn’t measure job success. You can’t measure performance based on behavior as research shows that behavior is an ill predictor of successful results. DiSC assesses how a person responds to problems, people and procedures but fails to identify the proficiency of how they respond to problems, people and procedures. DiSC is observation, meaning that each performance indicator in DiSC is easily observed when others know what to look for. D and I are animated, I and S are people orientated, S and C are reserved, D and C are task oriented. All depending on what an employer is looking for, you can find out how you suit the role in question by looking at what types of tasks you will do. If you are outgoing and thrives by working in teams, you may be better suited for a sales or customer service role where you can interact with people daily, rather than to sit in a back office by yourself solving technical problems. If you like to analyse problems and focus on detailed work over a long period of time, you will not be suitable for a sales role, but rather a role suited to the conscientious. Hope you find a role suitable to you and your values!